Commissioned for Scotland’s presentation at the prestigious Venice Biennale in 2013, the installation comprises a film, a series of photographs and a sculptural floor work. The artist’s starting point was a recently re-discovered collection of slides taken by her father during his fieldwork as a social anthropologist in the 1970s. She travelled to Peru in the company of her father, and brought a selection of these photographs back to the Peruvian village where they had been taken decades before. The result is a deeply humane reflection on cultural belonging and displacement, and on the layering of memory and personal encounters. Corin Sworn’s work is expected to complement and comment on The McManus collections – indeed the works were shown initially within the ‘Dundee and the World’ museum display. 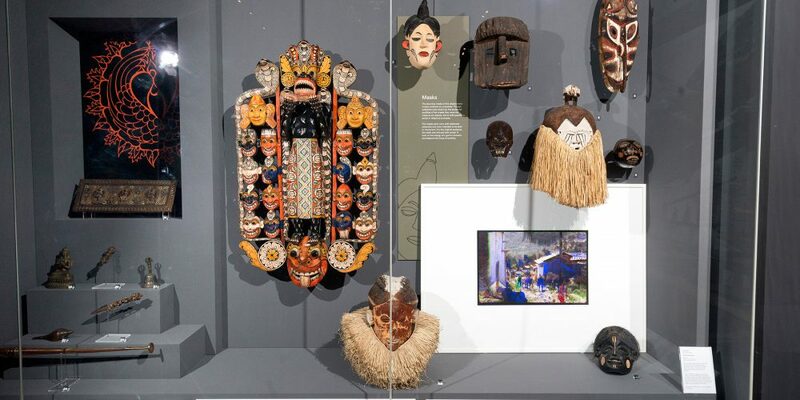 In examining the anthropological impulse, Sworn casts a new light upon The McManus’ impressive collection of artefacts, amassed by explorers, missionaries, merchant adventurers and the like. This acquisition builds on Outset Scotland’s earlier support of new work by Corin Sworn, Duncan Campbell and Hayley Tompkins, commissioned for Scotland + Venice 2013, Scotland’s presentation at the 55th Venice Biennale International Art Exhibition, curated by The Common Guild. Born in London in 1976, Corin Sworn was raised in Toronto. She studied psychology at the University of British Columbia and integrated media at Emily Carr Institute of Art and Design, earning her master’s at the Glasgow School of Art in 2010. Sworn has exhibited at Whitechapel Gallery, Tate Britain and the Centre Pompidou. She was awarded the prestigious Max Mara Prize for Women 2013-15, and participated in the 2014 Sydney Biennale. Her work has been collected by the Whitney Museum and the National Gallery of Canada, among other institutions. The McManus: Dundee’s Art Gallery and Museum offers a fascinating insight into Dundee and with 8 galleries to explore, there is a wealth of information to discover in their exhibitions of art, history and the environment.